Milwaukee School of Engineering (MSOE) was among the first schools in the nation to have an ABET-accredited software engineering program. The program earned its accreditation in 2003 – the first year that ABET accredited the discipline. Now there are 21 accredited baccalaureate level programs, including two in Wisconsin. What is it that makes MSOE special? Milwaukee School of Engineering provides multiple options for students to tailor their education to meet their future needs. Opportunities include elective sequences, internships, and senior projects. The MSOE Software Engineering program was one of the first in the Nation to receive ABET accreditation. Through the Application Domain Elective Sequence, students can choose an area of software to specialize in. The application domain is not unique to MSOE; in fact, it’s one of the requirements for ABET accreditation. However, not all programs have the same array of options. MSOE draws from the strength of its technological, health care, and business offerings. Among the possible elective sequences are computer security, computer engineering, biomedical engineering, game development, and applied optronics and photonics. Each application offers unique experiences. Students who opt for the computer engineering sequence take courses in digital logic and embedded software. Students who opt for the computer game sequence take game development, advanced graphics, and artificial intelligence. Students should be aware that most elective sequences include only three classes, but some have additional prerequisites. During their final year, MSOE students, like students in other ABET-accredited programs, work on a senior design project. This allows them to apply their knowledge of the software engineering lifecycle and create something of lasting value. One recent group created an “engaging virtual petri dish” to teach high school biology students. Some MSOE projects have been requested and sponsored by local industries. The Wisconsin Maritime Museum recently sponsored students to add supersonic sonar to their submarine simulation. In addition to working as part of a student team, students work with a staff team to improve processes in the school’s renowned software development laboratory. According to MSOE, 100% of last year’s  graduating class received job offers. MSOE is known for its strong ties to the business community. The department has an industry advisory committee that helps them stay current on trends in the software industry. Software engineering graduates have gone on to secure employment with Amazon, Epic Systems, GE Healthcare, Motorola, and even software giant Yahoo!. Some have gone on to start their own businesses. Graduates do often find positions waiting for them. MSOE reports that fully 100% of last year’s graduating class was hired. The average starting salary was $56,428. MSOE is actively working to bring underrepresented groups into the software industry. The school has its own chapter of the Society of Women Engineers; the group holds meetings every other Monday and hosts a variety of special activities throughout the year. Female engineers can network while building their resumes. There is also outreach to the region’s adolescent girls encouraging them to look into the field of software engineering. Focus on the Possibilities: Software Engineering is a summer program open to boys and girls entering grades 10 - 12. 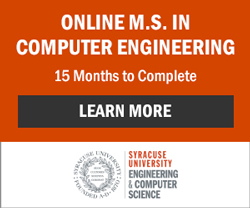 Software engineering camp normally costs $700, but there are a limited number of scholarships available for low-income students. MSOE Summer Program Scholarships cover half the cost; to be considered, one must be eligible for free or reduced lunch. Students who are considering MSOE can participate in the Bridge, an online admissions community. They may be surprised to find the admissions director freely interacting with students online. There are also opportunities to spend a bit of time on campus and actually shadow a student. MSOE is selective, admitting about 70% of applicants (as reported by US News & World Report). The program is academically rigorous. Students typically take four trimesters of calculus, along with linear algebra and discrete mathematics. Milwaukee School of Engineering is ranked #19 in the Midwest by US News and World Report. The software engineering program is accredited by the Accreditation Board for Engineering and Technology Engineering Accreditation Commission.